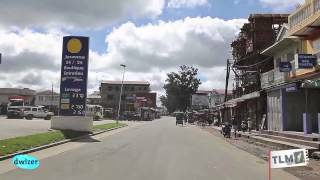 S -18° 56' 58" and E 48° 13' 48"
Moramanga in Alaotra Mangoro Region with it's 29,212 citizens is a city in Madagascar about 45 mi (or 73 km) east of Antananarivo, the country's capital city. Local time in Moramanga is now 02:38 AM (Friday). The local timezone is named Indian / Antananarivo with an UTC offset of 3 hours. We know of 8 airports in the vicinity of Moramanga. 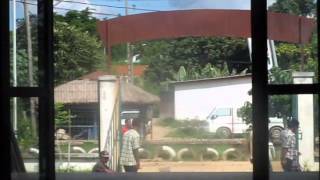 The closest airport in Madagascar is Ivato Airport in a distance of 50 mi (or 81 km), West. Besides the airports, there are other travel options available (check left side). There is one Unesco world heritage site nearby. It's Royal Hill of Ambohimanga in a distance of 126 mi (or 203 km), North. When in this area, you might want to pay a visit to some of the following locations: Andramasina, Antananarivo, Ambatondrazaka, Miarinarivo and Amparafaravola. To further explore this place, just scroll down and browse the available info. Let's start with some photos from the area. http://dwizer.com - http://travelinemadagascar.com Traversée en bus TLM de Moramanga, un vendredi matin. Pousses-pousses "triporteur". Moramanga is a city (commune urbaine) in Madagascar. 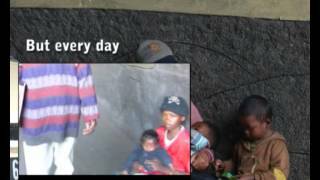 Between the capital city Antananarivo and the east coast. The name Mora-manga literally means “cheap mangoes”. The city of Moramanga has an important place in the history of Madagascar. 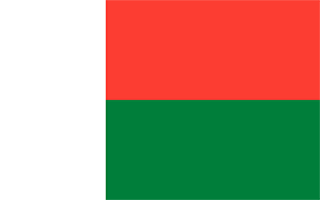 It was in Moramanga, on the night of the 29th of March 1947 that the Malagasy uprising against French colonial rule started. Moramanga is also the capital city of the Bezanozano tribe (one of the eighteen tribes in Madagascar). Located at -18.95, 48.23 (Lat. / Lng. ), about 0 miles away. Ampasipotsy Gare is a town and commune in Madagascar. It belongs to the district of Moramanga, which is a part of Alaotra-Mangoro Region. The population of the commune was estimated to be approximately 7,000 in 2001 commune census. Only primary schooling is available. 70% of the population of the commune are farmers, while an additional 1% receive their livelihood from raising livestock. The most important crop is rice, while other important products are cassava and sweet potatos. Located at -18.9667, 48.35 (Lat. / Lng. ), about 8 miles away. Ampasipotsy Mandialaza (or simply Ampasipotsy) is a town and commune in Madagascar. It belongs to the district of Moramanga, which is a part of Alaotra-Mangoro Region. The population of the commune was estimated to be approximately 6,000 in 2001 commune census. Only primary schooling is available. The majority 88% of the population of the commune are farmers. The most important crop is rice, while other important products are beans and cassava. Located at -18.9667, 48.34 (Lat. / Lng. ), about 7 miles away. Antaniditra is a town and commune in Madagascar. It belongs to the district of Moramanga, which is a part of Alaotra-Mangoro Region. The population of the commune was estimated to be approximately 6,000 in 2001 commune census. Primary and junior level secondary education are available in town. The majority 99% of the population of the commune are farmers. The most important crop is rice, while other important products are beans and cassava. Services provide employment for 1% of the population. Located at -18.85, 48.3667 (Lat. / Lng. ), about 11 miles away. Moramanga Suburbaine is a town and commune in Madagascar. It belongs to the district of Moramanga, which is a part of Alaotra-Mangoro Region. The population of the commune was estimated to be approximately 17,000 in 2001 commune census. Moramanga Suburbaine is served by a local airport. Primary and junior level secondary education are available in town. The majority 80% of the population of the commune are farmers. Located at -18.94, 48.23 (Lat. / Lng. ), about 1 miles away. These are some bigger and more relevant cities in the wider vivinity of Moramanga.